Whether your family is gathering around the table for breakfast or simply grabbing a bite on-the-go, new Betty Crocker Cereal Muffin Mixes will provide a tasty and convenient way to jumpstart your day. Can’t get enough of these mouthwatering muffins? download a printable coupon for $.80 off one package of any variety of Cereal Muffin Mix. I have found them at Walmart for $2.88! As a member of MyBlogSpark I get the chance to review and try new items! This Spark was a great tasting one! 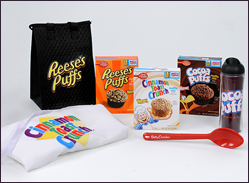 I received a box from Betty Crocker and MyBlogSpark that had 3 muffin mixes, an apron, a mixing spoon and a mug. As soon as the box arrived my kiddos just had to try the new muffins! bake 15 minutes and ENJOY!! We started with the Reese's Puffs! Oh my, Dont they look YUMMY! The CoCoa Puffs were just as easy to make! The kiddos gave these Puffs a 5 out of 5 for taste and ease to make! As a member of MyBlogSpark I can offer one of my readers a Kit of their own to try the Betty Crocker® Cereal Muffin Mixes!!! Giveaway ends 9/1. Winner will be picked via Rafflecopter! disclosure~ I recieved the items listed above from Betty Crocker and MyBlogSpark. Prizes are offered in exchange for my review and post. No other compension was given or recieved. I want to try Reeses Puffs! That is my FAVORITE cereal and i eat it like three times a week for breakfast, at least! 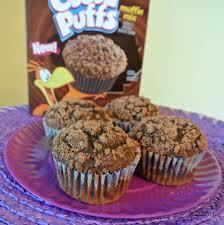 I'd like the Reese’s Puffs cereal muffins. Cinnamon Toast Crunch would be my first pick! I want to try the Reeses Puffs mix the most. Thank you for this giveaway! I want to try the Cinnamon Toast Crunch cereal muffins first! I'd like to try Cinnamon Toast Crunch the most! I want to try the Reese's Puffs Muffins first! I would love to try any of these. One I haven't seen these for sale yet. Two I couldn't decide which I would like better, and three this is an awesome give a way. Not sure if my other comment went through so here I am again. I couldn't decide which I would rather try because I have never seen these but they all look yummy. Thank you for hosting this give away. I want to try the Reese's Puffs mix. 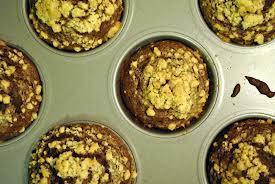 great for back to school and love the muffins! ARE YOU READY FOR THE OOGIELOVES?